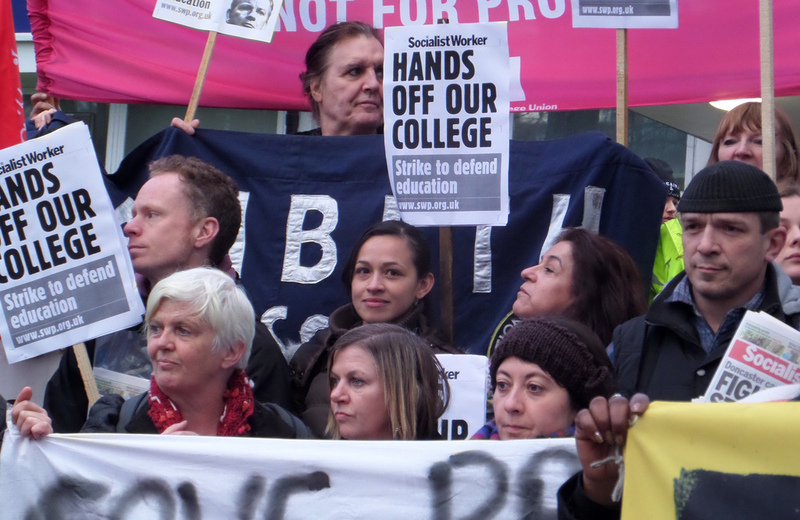 On Thursday local trade union members of the UCU, NUT, UNISON, students, local residents and community activists linked arms around Brixton college under the banner “Save Brixton College, No Free School”. 70% of the site is being sold off to the DFE who are giving it to at least one free school, but reports suggest possibly up to 4 free schools. The organisation setting up the main free school bid is led by Dennis Sewell, a Spectator writer who has written such articles as ‘Punish the rich, hurt everybody’ where he argues that we should not tax the rich. 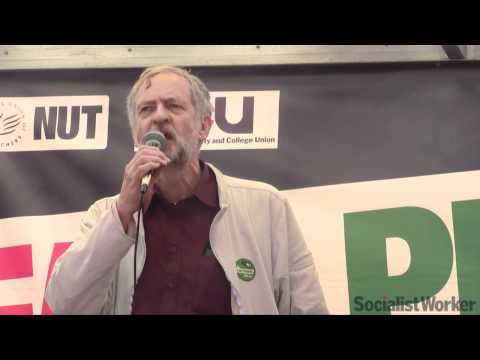 Indeed he says: ‘We need the filthy rich to feel right at home here’. This school would aim to recruit white, wealthy pupils and will harm other local schools as it competes for pupils. The college claims to be in financial difficulties yet instead of giving the Brixton and Vauxhall campuses a desperately-needed re-furbish, it has taken out huge loans, putting the college even further into debt to pay for un-researched vanity projects such as a Jacuzzi and Spray-tanning rooms. Now, as well as selling off the site, it has launched a massive attack on the teachers’ working conditions. New contracts are being introduced which will see increased working hours, a reduction of annual leave by 10 days per year, reduced sick pay, reduced redundancy notice, performance related pay and extra duties. 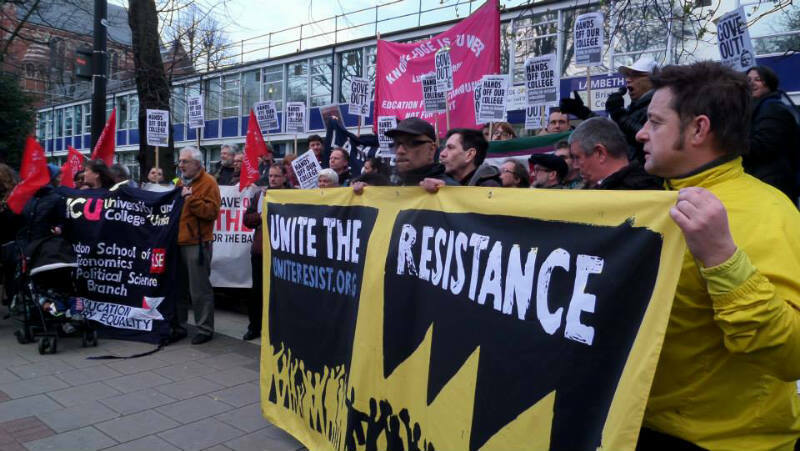 The UCU have voted by 95% to strike and the first strike is Tuesday 1st April. After that they will consider indefinite strike action. UNISON members are also balloting to strike. The campaign to save Brixton college and to support UCU members on strike has been very well supported by the community.